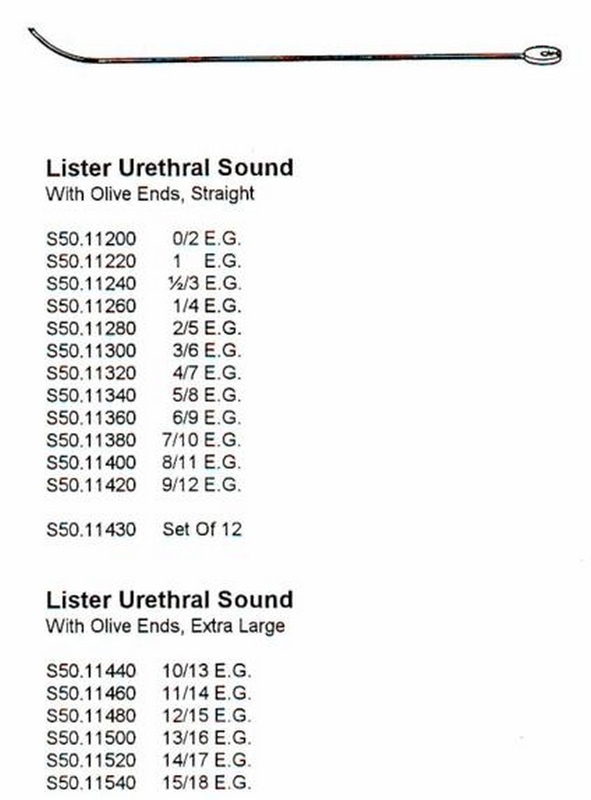 LISTER URETHRAL SOUND With OLIVE ENDS STR 9/12 E.G. 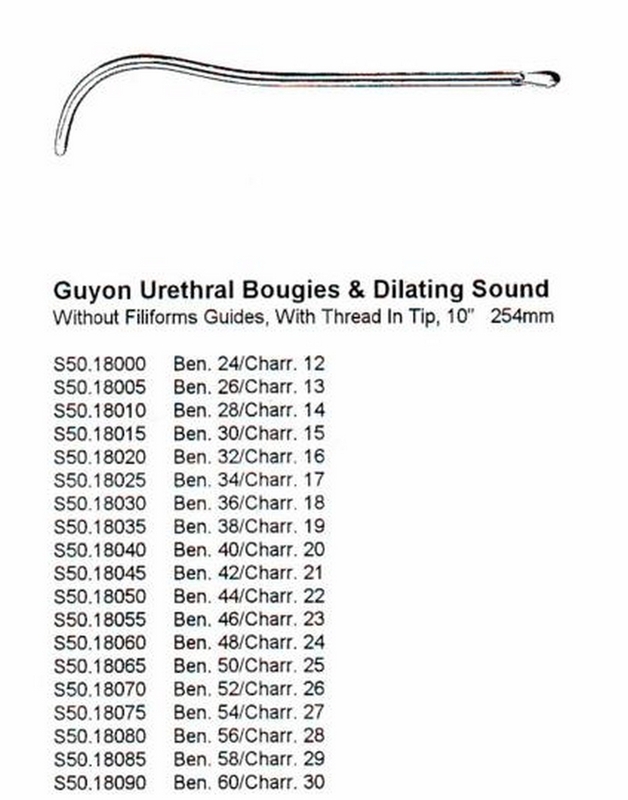 LISTER URETHRAL SOUND With OLIVE ENDS STR 8/11 E.G. LISTER URETHRAL SOUND With OLIVE ENDS STR 7/10 E.G.